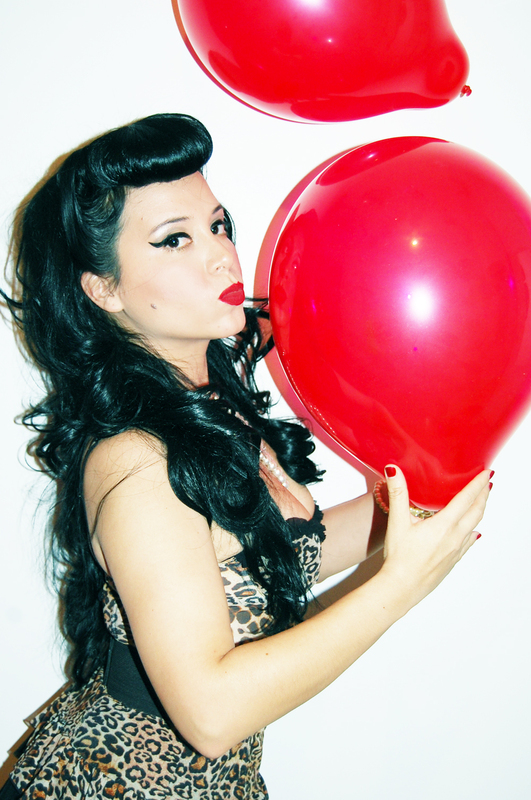 I try to conduct cute little photo shoots on certain holidays where I style myself and my girlfriends as pinups. I look at it as a way to be creative and have fun at the same time. Also it is nice to get dolled up and take photos every once in a while. My friend Ingrid is one of my muses and I did a photo shoot of us on Valentine’s day last year so we thought we would take it to the next level for 2012. This is sort of like the pinup packages I offered back last year where I transform women into 50’s pinups and the photographer takes the photos. I cannot tell you how good it makes my clients/girlfriends feel when I doll them up and have their pictures taken. It’s kind of like the confidence you acquire when you wear something like lingerie. Which is why I bring to you the best of it all…Pinups in lingerie for Valentine’s day! Check out more of the photos inside of Ingrid and I and have a wonderful Valentine’s day! Pinups: Vintage Vandalizm, Ingrid Campos. ← NYFW: Lulu’s Style Studio and the Empire hotel! The Models have lovely bums!!!!!!!!!!!!!! I think you just started yet another fashion following with the striped shirt and hip hugger shorts! Absolutely beautiful. Tim did such a great job! You trained him well 🙂 I’ll give him a shout out as well. you both look gorgeous! Absolutely gorgeous! so cute! I love ingrids hair! Happy Valentines Day to two Vixens! Happy Valentines Day! Great job. Oh I love these photos!! That striped top is so cute. Ingrid looks amazing and so do you. I was talking you up yesterday to someone and gave her your blog URL. Btw, I am in NYC right now, so I’m keeping my eyes peeled for a Vinny sighting. Happy Valentine’s Day, lady! Love, Love, Love!!! Oh how I wish you lived in California!! you ladies look fab! does ingrid have blog as well?? kind of love her! How awesome! 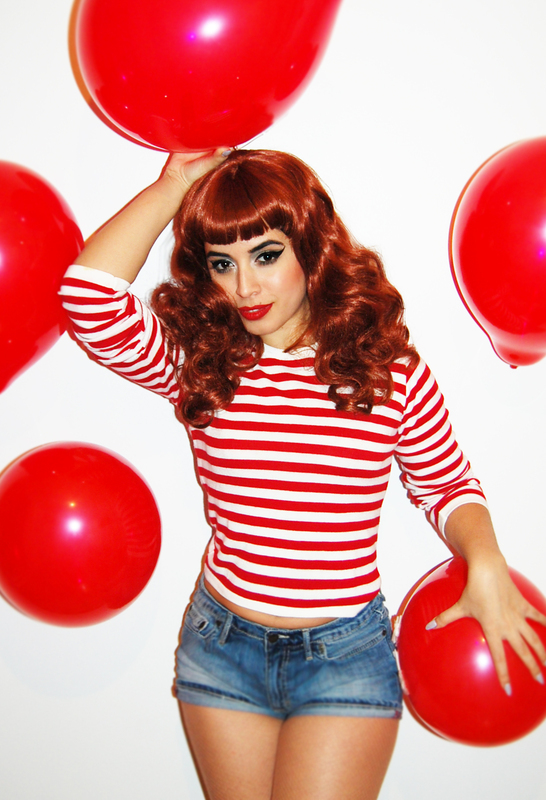 Love this….I adore that striped red top…if only they had dolled up pinup shoots like this where I live…every girl needs to do one of these at least once in their life!! !